Hello CGH readers! 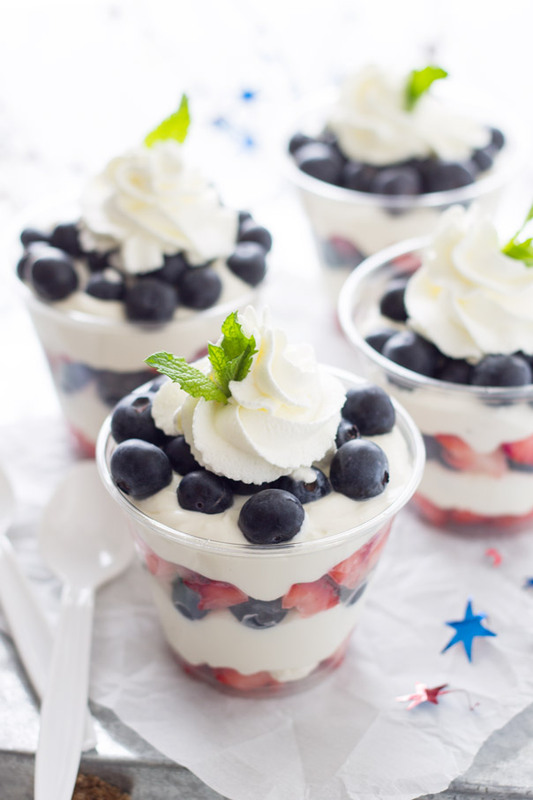 It’s Malinda from Countryside Cravings bringing you these festive Red, White and Blue Cheesecake Cups that are perfect for the 4th of July. What’s better than a rich, creamy cheesecake? 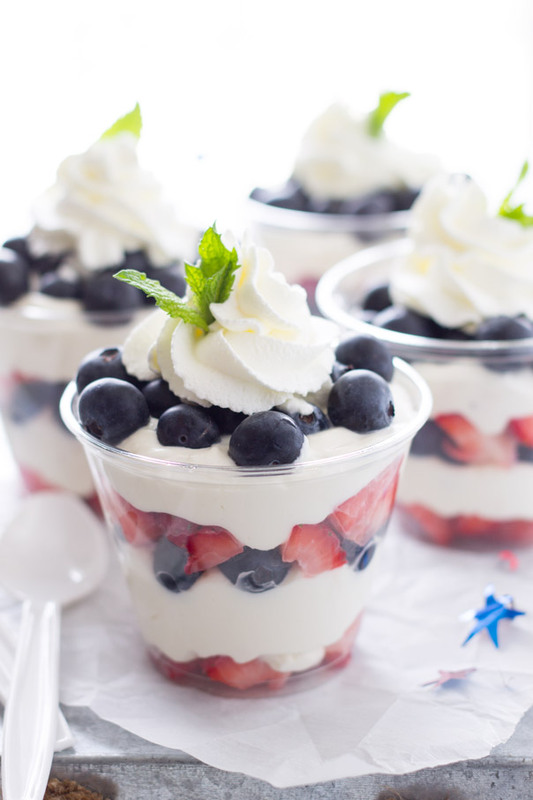 A rich and creamy no bake cheesecake served in individual cups! Don’t get me wrong I like a good cheesecake too, but sometimes it’s just too much work. These require no springform pan, no water bath, no leaving the oven door cracked for an hour, no impatiently waiting to taste that creamy cheesecake because these are no bake and can be made in about 15 minutes!! Wooohooo! 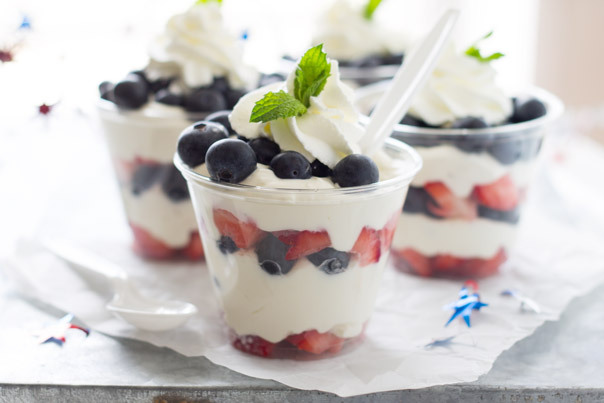 Plus, they are portioned into individual cups making them perfect for barbecues and picnics this 4th of July or any summer get together! Enjoy! In a medium sized bowl beat the cream cheese until smooth. Gently stir in the whipped cream, powdered sugar and vanilla. Spoon a small amount of chopped strawberries in the bottom of a cup. Top with some of the cream cheese mixture. Top with blueberries. Repeat one more time. Garnish with extra whipped cream and a sprig of mint if desired. Repeat for remaining cups. Store in the refrigerator.